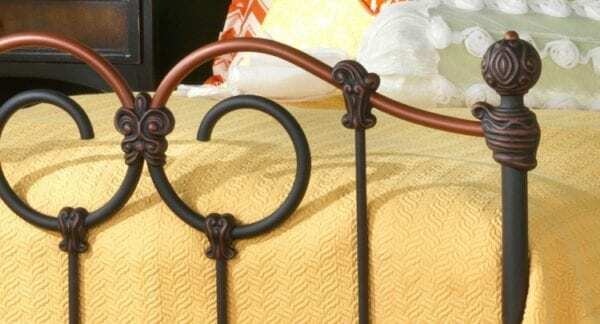 Charminly ornate the Olympia bed features gentle curves and straight lines. Stocked in a two-tone copper and black. Other finishes available.